The startup competition comes to a close with four winners. 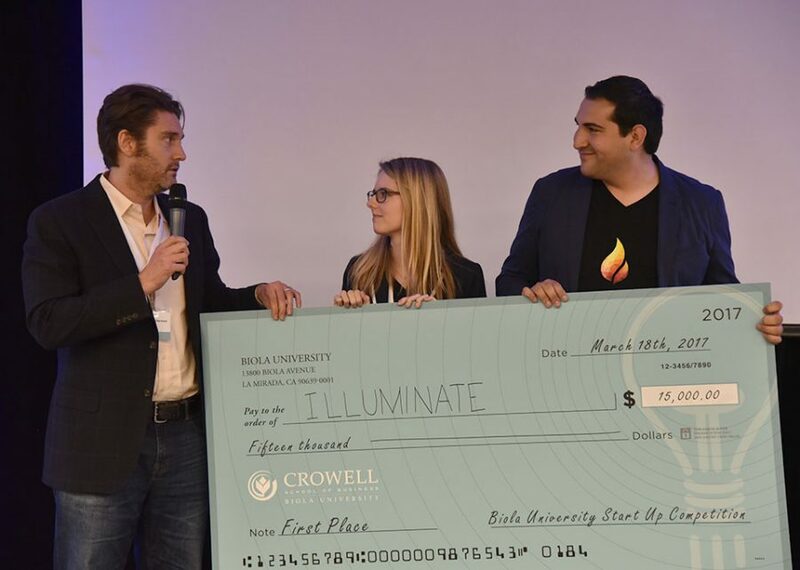 Illuminate International won first place in the Crowell School of Business second annual Startup Competition on March 18. They hope to publish multicultural stories for children and fund education in poorly resourced areas of the world. The team of three, including senior business major Jordan Perkins and alumnus John Terranova, won $15,000 cash to invest in their company and $10,000 in legal services from Brown & Streza, LLP. With the money they received, Perkins and Terranova plan to go to Kenya in January 2018 to begin building further relationships with HEART, where Perkins previously volunteered, as well as curate stories. Wevene.com, the second place winner which received $7,500 cash, also looks forward to furthering their business but from the backend development and marketing sides. Team leader and assistant manager of auxiliary services Austen Dutton felt validated in his team’s idea of pairing brides with small business owners for weddings. “Before [the finalists were announced] I was telling my wife that I was at peace because I knew that we had done our best and so it really didn’t matter because I was proud of myself and proud of my team for what we had done. And so the fact that we were able to even place in the top three was pretty awesome,” Dutton said. The final team in the top three, Raptor House Effects, LLC won $5,000 cash which they plan to invest either in the Screen Actors Guild union fees or paying off a loan they used to renovate their shop. Alumnus Jesse Velez, alumnus Cameron Boyce and senior cinema and media arts major Melissa Velazquez feel the win gives them confidence in their business of special design effects for films. “We all believe in what we’re doing but to see other people get really excited about it and present us with this award is just further proof that we are going in the right direction and we got something here, we got something that could work here,” Velazquez said. Another team, liftd, winner of the Wayfare award of $1,000 in services to develop their idea, also felt encouraged by the judges’ belief in their product of luxury shower caddies. 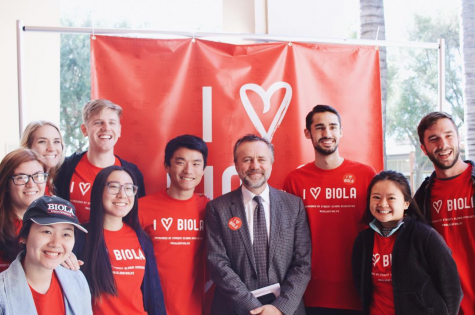 Junior marketing management major Megan Harlander, sophomore philosophy major Melissa Sugeng, senior marketing major Clarissa Rusli and sophomore product design major at Art Center College of Design Tricia Sada remain unsure how they will use the money. “It was exciting, just all the work and the exhaustion and feeling like so many points like, ‘Oh, this isn’t going to be good enough, there’s no way we’re going to humiliate ourselves in front of the judges,’ but seeing that actually come together and be something that was good and something that the judges saw potential in was so encouraging,” Harlander said.